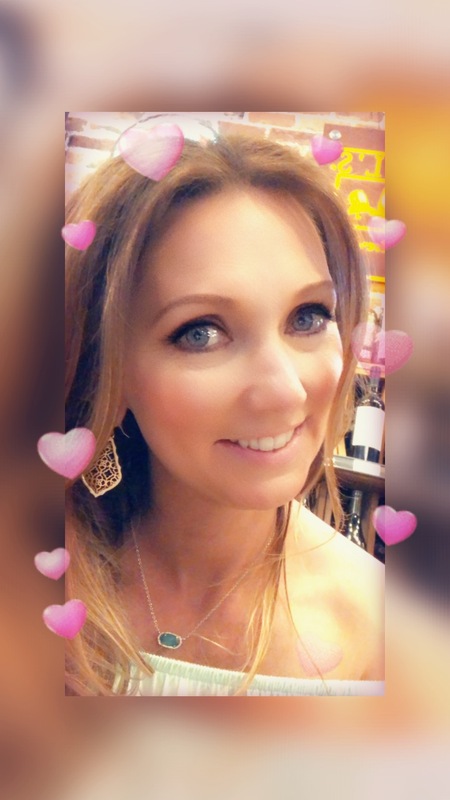 Upper Body Workout – Helen, Naturally! I had to go to the doctor this morn. The hubster insisted. That could be due to the fact that I woke him up at midnight screaming and crying for him to take the brace off of my ankle. Begging him to put me out of my misery. Requesting Advil and ice. He was convinced that someone couldn’t be in that much pain without a broken bone somewhere. He wasn’t too pleased at having to wake up at midnight. I wasn’t too pleased at having to wake up at midnight. I tried to ignore his request. I dressed. Made a somewhat decent breakfast. Dressed the boys. Drove them to school. Made it to work. Only to have the work husband tell me to go to the doc as well. Only to have the football coach tell me to go have an x-ray. Only to have the P.E. coach tell me to go have an x-ray as well. Because they all agreed that with it gradually worsening through the course of the evening/night, I could possibly have broken a bone. What is it with the men in my life? So I went to the walk in clinic during lunch. 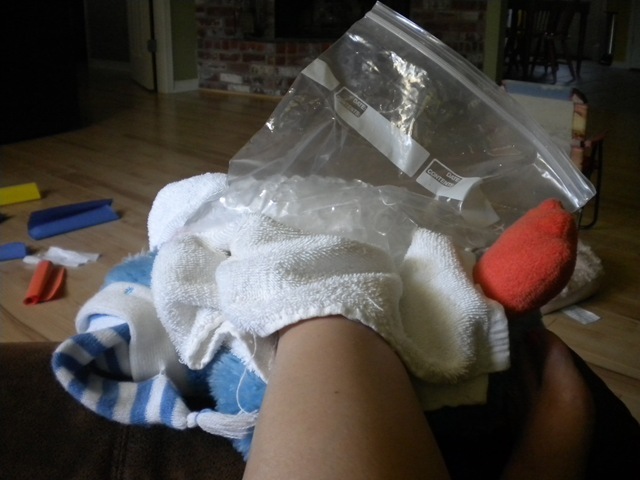 Only to be told that I have a very ugly sprain….yeah that is what I thought this morning. Thanks guys for scaring me into thinking I had broken my foot! But on that note thank you God that I didn’t have a broken bone in my foot. So I went back to work to pack up my things. Instead I had someone else pack them for me. 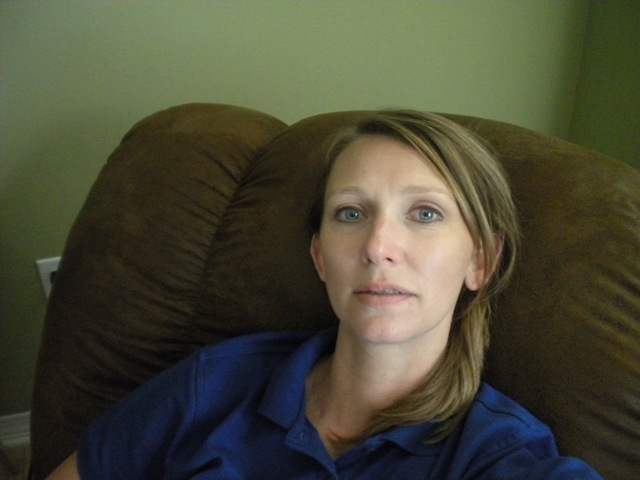 After all I was super tired from my upper body workout….. This is what I do after an all day upper body workout. I have muscles aching that I didn’t know I had! This is what Noah does after an all day upper body workout to take advantage of the fact that momma can’t move very well! This is what Kohl does after an all day upper body workout to take advantage of the fact that momma can’t move very well! 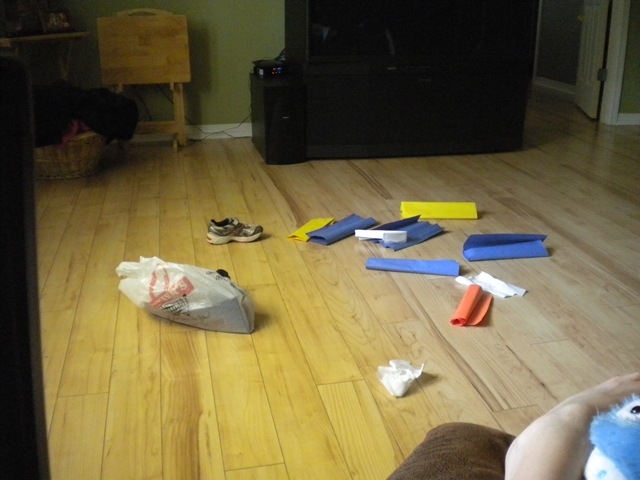 This is what my house looks like after an all day upper body workout due to an ankle injury…..I just don’t care! 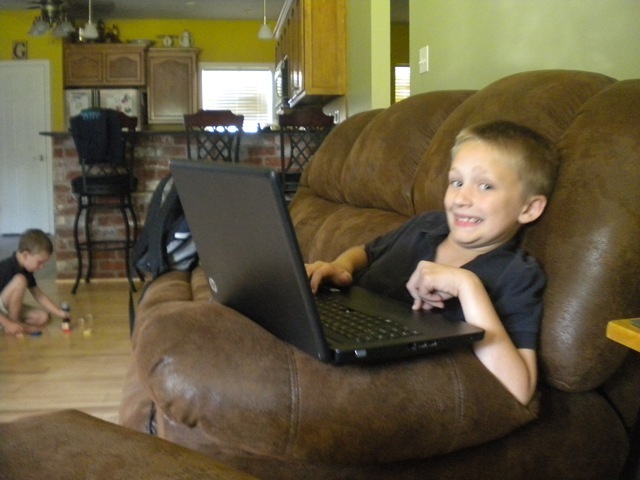 But the kiddos are being very generous and helpful…. 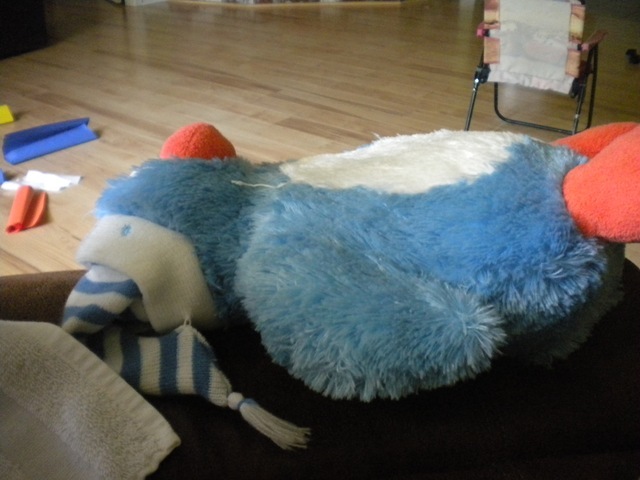 Kohl gave me “permission” to use his penguin as a prop pillow…. 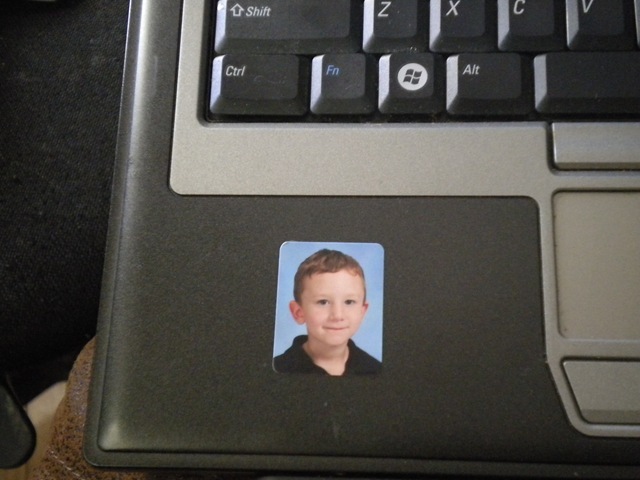 And he placed a lovely sticker of himself on my laptop…. 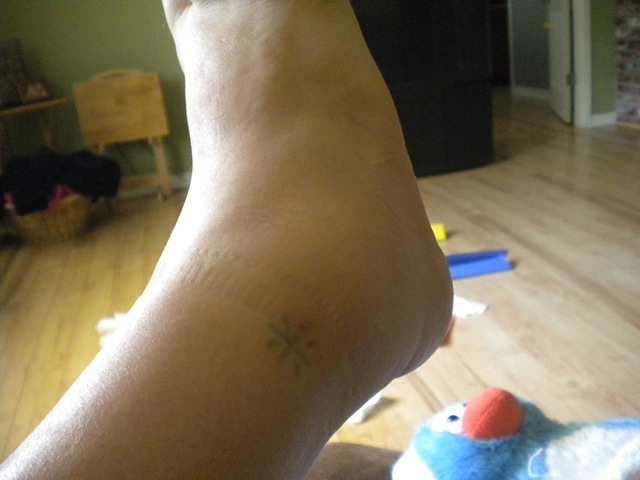 They also helped me take photos of my lovely injury…. 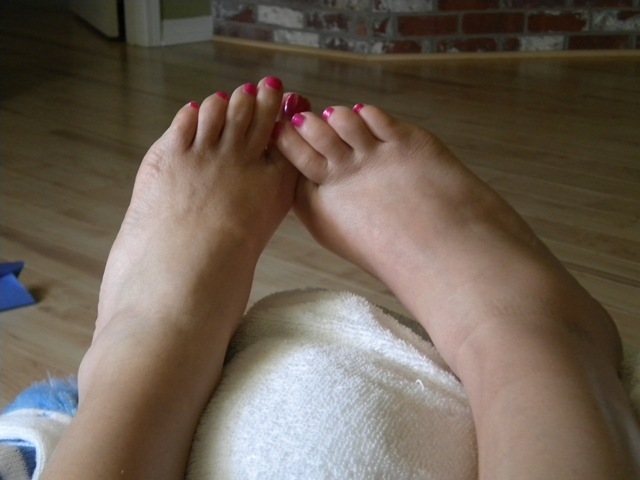 Even my foot looks swollen! 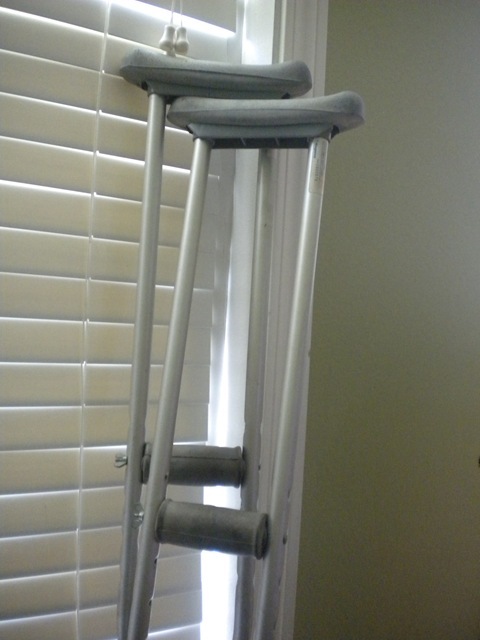 My mode of transportation around the house…. Now I must wait for the hubster to come home. He will need to cook dinner. He will need to do laundry. He will need to unload and reload the dishwasher. That is what the chef/maid is doing at the moment. I dare anyone to question her. I dare anyone to ask her to do anything. I dare the hubster to ignore household duties. After all I have a pretty quick mode of transportation at home. One that doesn’t require an upper body workout! Oh I’m so sorry! I hope you heal up fast! I will surely follow that order! Oh no so sorry, it looks painful! I sprained my wrist a couple months ago so I know how uncomfortable it can be. I hope it heals up quickly so you can enjoy your vacation! Bummer. I have done this many times myself. 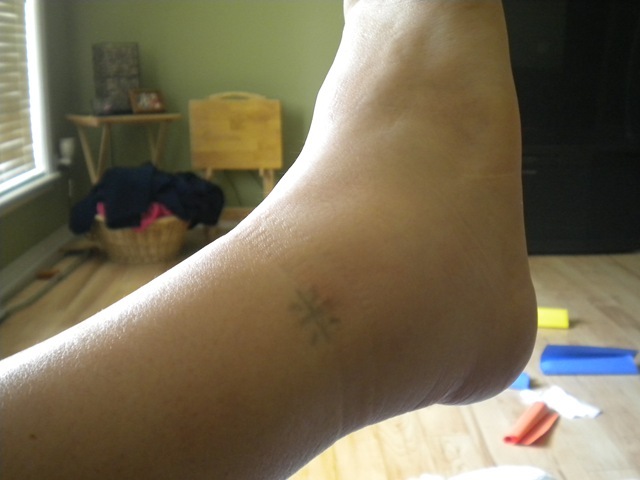 The last time I rolled my ankle, I had a chiropractor adjust my ankle (I thought it was going to hurt so bad, but it didn’t) and I was able to walk around the next day! 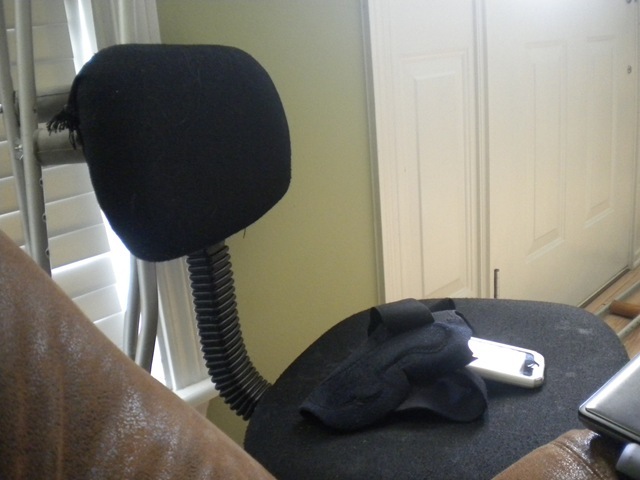 I was also able to get back to my normal routine within a couple of days as opposed to a couple of weeks. awww, no fun. ankles are the worst. i’ve sprained mine twice (same one) and i was such a baby about it. Oh my gosh that sounds horrible!! Heal up quick! 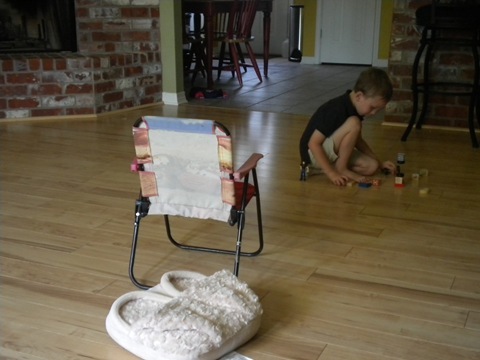 Your “messy” house still looks pretty clean to me! Love the laptop sticker. What a sweetie!